Random length trim may vary in length between 6' - 12' with an overall average per piece of 8' plus. This package is sold in increments of 25 lineal feet. Call for special pricing on orders over 1,000 lineal feet. Please note: when ordering, you may receive some pieces that are longer than the listed length. You will NOT be charged for additional length. Minimum order is 10 pieces. Call for special pricing on orders over 1,000 lineal feet. Minimum order is 10 pieces. Call for special pricing on orders over 1,000 linear feet. 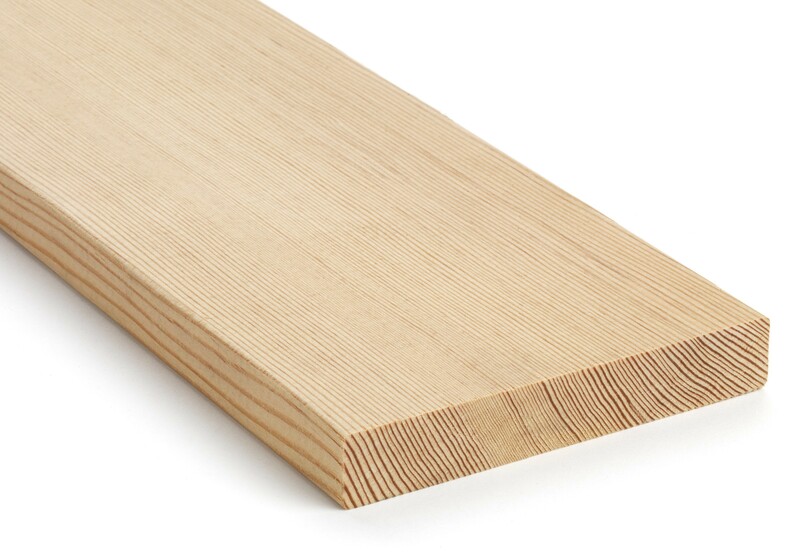 1" x 5" CVG Douglas Fir Trim is available for purchase in increments of 25.